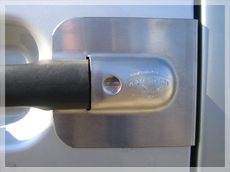 A van Slamlock is a van lock that automatically locks when the van door is shut requiring no key to lock. 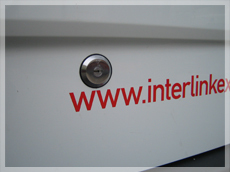 The van Slamlock is integrated into the manufacturers lock system for maximum van security. 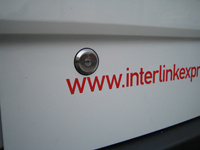 Preferred by many multi drop drivers and parcel companies, the van Slamlock provides maximum security against opportunist theft from an unlocked van, eliminating the possibility of driver error. 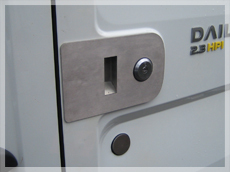 The van Slamlock can be used along side van deadlocks on the same key if required. 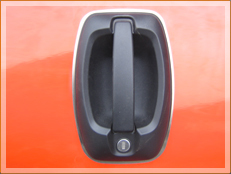 Each van Slamlock is door specific, operating each door individually. The van Slamlock has been designed for todays van lock requirements and has a 50mm diameter lock face with an internal fixing nut and anti spin function. 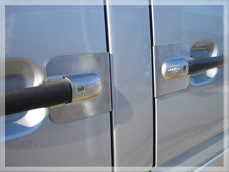 The van Slamlock also has anti pick features for added security. 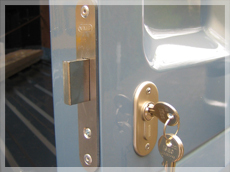 Our expert mobile fitting service means that you can get Matlocks Van Slamlocks supplied and fitted to your van at home or your work place.